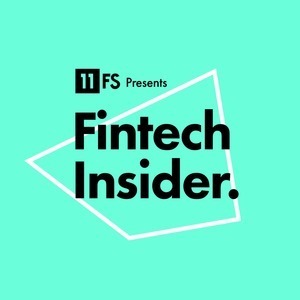 We found 8 episodes of Fintech Insider by 11:FS with the tag “bitcoin”. In this week's episode, Jason, Simon and David are joined by 11:FS Research team's Ross Gallagher, Capco's Charlie Wood and Fluidly CEO Caroline Plumb. Sam Maule is joined by Kabbage co-founder Kathryn Petralia, payments guru Ginger Schmeltzer and Worldplay's VC of innovation Joe Kleinwaechter to discuss Atlanta's Fintech scene and payments! Simon Taylor, David M. Brear and Jason Bates are joined by The Economist banking editor Patrick Lane & Innovate Finance's very own Sophie Winwood to discuss the war for talent between the Fintech and Banking worlds. This week's Fintech Insider News show was a departure from tradition. Instead of recording in our WeWork offices we took the team on tour, specifically on a pub crawl round London Bridge and Bermondsey and recorded the news show as we went! In this episode David and Jason were joined by colleagues Pete Townsend and Ross Gallagher (making his Fintech Insider debut), from our Pulse and Research Team, to tackle the latest news from the last week, alongside regular guests Sarah Kocianski and Charlie Wood. Regulatory based news unsurprisingly steals the limelight, however we also bring you that outrageous Kodak stock rise as well as and an interview with Claudia Bate- Author of "The Fads, The Fears and The Future" where overhyped trends and technologies are discussed.